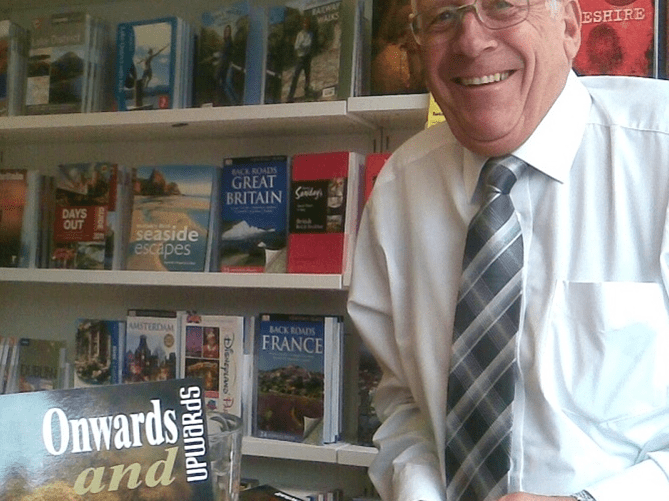 Meet Chris Pownall, a local writer from Woodsetts who has written several autobiographical books. This excerpt comes from ‘This is the Life’ and describes a visit to the Grand Theatre in Leek, Staffordshire. Leek is where he met and lived with his wife Pat. I remember visiting the Grand Cinema, and the film on show that week was ‘The Pit and the Pendulum’. This would have been in the early 1960’s and there was a lot of hype about this particular film. It was billed as the most scary horror film around, and as a precaution, there would be a qualified nurse attending every showing, in case any member of the audience was to faint from fear or fright. When I arrived at the cinema, sure enough, there was a nurse in the foyer all adding to the anticipation of what we were going to see. I remember thinking, that wasn’t a real nurse as her uniform looked something like one of those uniforms you might have seen in the film ‘Carry on Nurse’!! Anyway, the film began to roll, and for those of you who have not seen this film before, it’s all to do with a torture chamber, hidden in the cellars of a Medieval Castle. Within this chamber there are the most horrific methods of torture imaginable, including the pendulum, for which you have to wait until the last bit of the film. The music featured highly in the presentation of the horror and passion, and there was one particular scene that caught someone off guard. We had been shown a most gruesome piece of torturing apparatus, comprising a steel chest that resembled a large bank safe. On the front of this safe was a heavily constructed steel door on which there were a number of steel spikes about a foot in length. The idea being that when some poor victim was forced to sit inside the chest, and the door slammed shut, the occupant would be spiked to death, in a most dreadful manner. The door also had a peephole strategically positioned, so that you could see the face of the poor individual, when all the spikes had penetrated his trembling body. A handcuffed individual was brought into the torture chamber and thrown into this dreadful contraption. You could see all the horrendous spikes, some with bloodstains from previous killings. The music was beginning to build louder and louder as the time approached for the door to be slammed shut. At this moment, a lady appeared in one of the aisles selling ice creams. All this time, the music was getting louder and louder as a queue was forming for those wishing to purchase an ice cream. They had obviously pitched their voice so that they could be heard above the horrendous volume of music, but when the actual words came out, the auditorium was in total silence. The place erupted in laughter, and it was quite some time before things settled down and we could once again return to the morbid atmosphere of a horror movie.